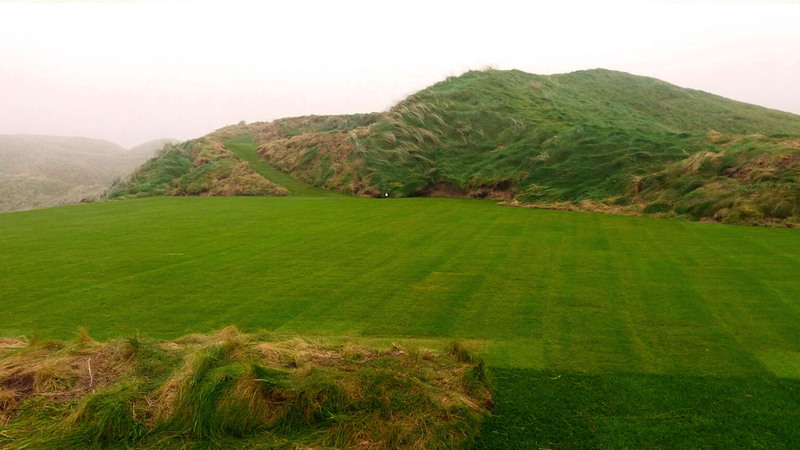 At Lahinch AGC were contracted to carry out upgrades and realignments to tee sites and walkways and reshaping of green surrounds and fairways. All reshaped and newly formed areas were prepared and turfed. Drainage was also installed, often working in difficult conditions caused by ground water affecting the stability of the trenches. Grading and shuttering of the trenches was used to allow safe installation of drainage pipework. Removal and disposal of substandard turf. Re-alining of tees and footpaths. Reshaping of green surrounds and fairways. Turfing of reshaped and newly built areas. Drainage of numerous low lying areas. Grading and shuttering of trenches employed due to the presence of ground water.